I’ve developed a Partnership Map, designed to help us think about which companies we partner with and why. With my clients, I’ve often found workshop attendees confused (at least initially) by the term partnership. If you use other well-known tools such as the Business Model Canvas, maybe you’ve encountered similar issues. We all use the term partnership, but rarely question what we actually mean by it. I usually revert to asking what the partnership entails. If it’s one company paying another for services, is that really partnership? A table of the definition of the tiers. I’ll admit this is a very rough draft, but I thought it better to get it out in the world and improve with collaboration, rather than it just being the product of one person. 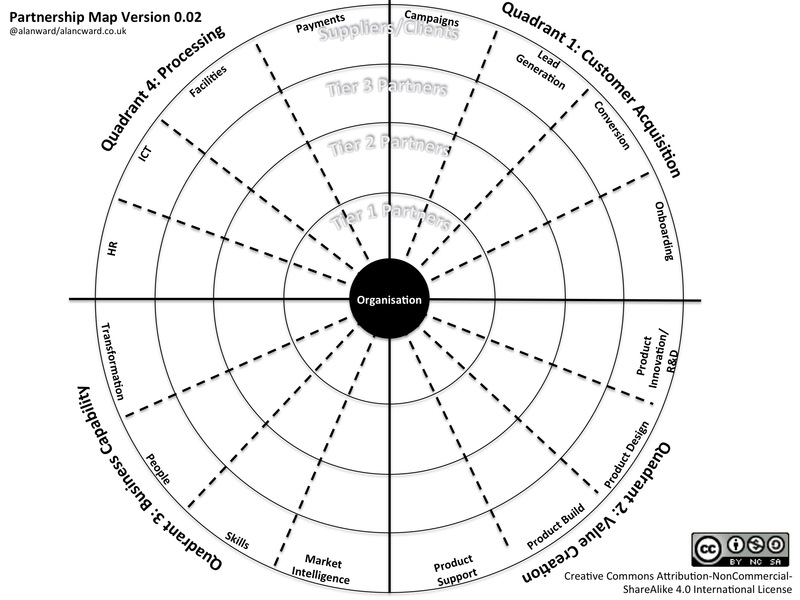 Work through each of your partnerships and place them according to their sector and tier. Evaluate whether that partnership should exist, moved tiers or become a supplier-client relationship. Think of partnerships moving from outside to inside or vice versa, or partnerships being consolidated across sectors. 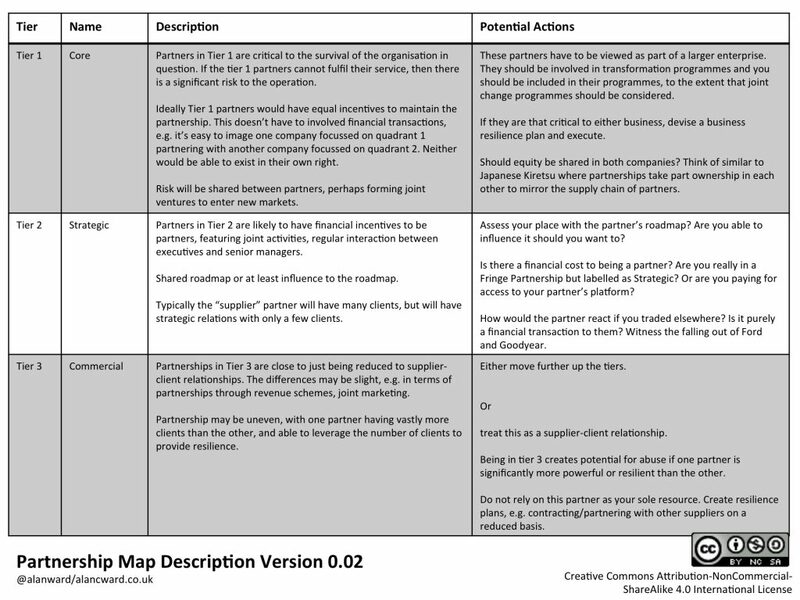 If a particular partnership is giving cause for concern, then consider using the Partnership Canvas for more in-depth analysis. This is a first draft; it’s my first attempt at putting down my thoughts into a picture. The alignment of the words to the circle isn’t spot-on. I’ll wait to see if the quadrants and sectors change first, before making it neater. Validate the sectors – Do these need to change, add sectors, merge sectors? 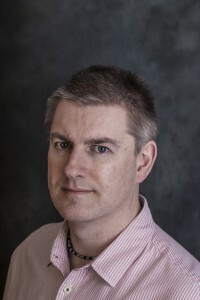 I’m happy to collaborate on it, so get in touch at @alanward and let’s talk.